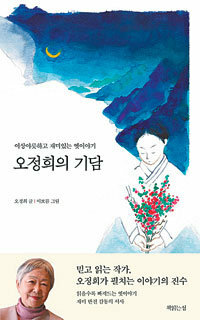 Novelist Oh Jung-hee publishes a book of old tales. October. 20, 2018 07:24. by Yeun-Kyung Cho yunique@donga.com. This is what Oh Jung-hee (71), South Korean female writer, recently said in a telephone interview with The Dong-A Ilbo. “I simply wanted to write a book that I could give to my grandchildren.” The book is the collection of the old tales of the Gangwon region, where she currently lives and writes books. 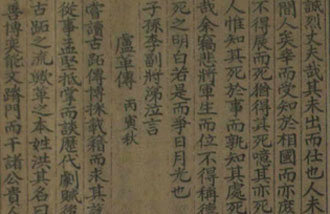 The book is comprised of eight tales including “One spring day,” “Where is my dear husband looking at the moon,” and “Cherry, my daughter with a pretty face like a cherry.” Except a newly added story “Goh’s family,” all the other tales were already published in Oh’s book “Story of cuckoo” 12 years ago. The odd and compelling stories have a familiar subject matter and structure, thus being read with ease. The hapless lives of women, ill-treated or forgotten by men, particularly draw attention. The South Korean writer said that she wanted to continue her work of refining old stories. When asked about the power of stories, she gave such an answer. “Stories let us look at our life in the perspective. They help us get out of a devastating or pleasant situation," she said. "If we can be convinced that we are not the only one experiencing such situations, then it will be easier for us to come up with solutions, isn’t it?"